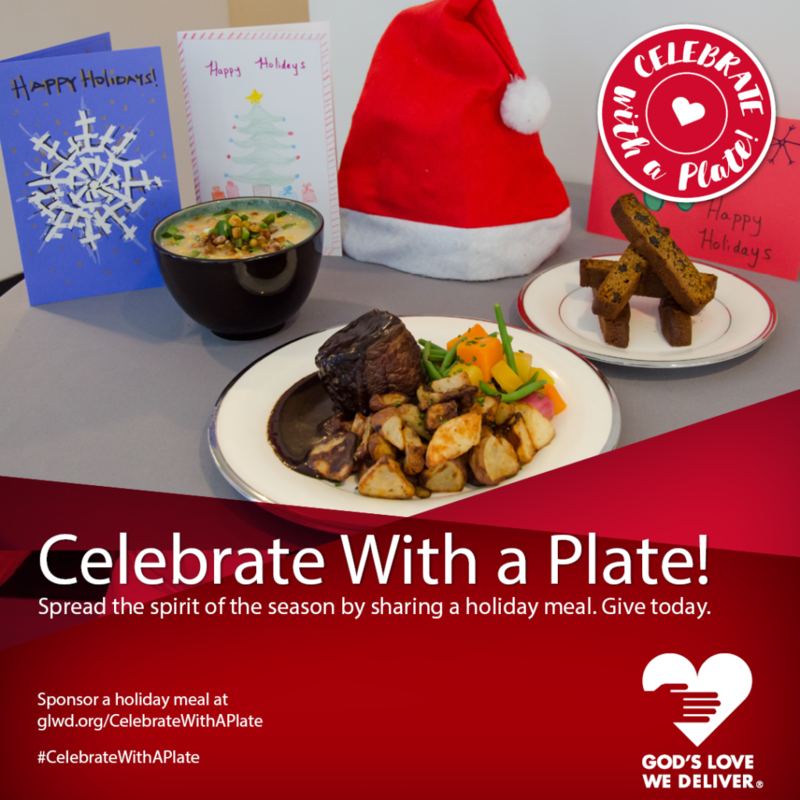 Now through the holidays, people can sponsor a nutritious holiday meal for our clients as a part of our “Celebrate with a Plate” campaign. For $10, you can sponsor a Winter Feast with all the trimmings: We’re making New England corn chowder, braised beef short ribs with herb roasted potatoes, candy cane beets, yellow beets, butternut squash and green beans. For dessert, our baker Chuck is making his delicious gingerbread cookies. Please note we’ll also be cooking and delivering guest meals for clients so that no one has to spend the holiday alone, as well as meals for our clients’ senior caregivers and children.